Critical infrastructures are developing further into Next Generation Infrastructures (NGI). Today, we still have the chance to design NGI in a secure and safe way. Modelling denotes the action of designing and creating a conceptual model or a computational model or a CI model or a computer simulation. Other synonyms may apply as well. [Click for more information]CI dependencies. [Click for more information]risk to the population may provide insight in the pros and cons of the various zoning options. The visualisation that MS&A provides may show benefits or disadvantages from the various options to all stakeholders. Therefore, CIPRNet started with the idea that the secure design of NGI requires new infrastructure models and efforts to a) A single simulation model that interoperates with other simulations in a federation. (source: [Rathnam2004]) b) In the DIESIS context, a federate also refers to the aggregate of a simulator and its specific..
[Click for more information]federate existing infrastructure models and outreached to various NGI communities. Discussions with both the NGI research communities and (critical) infrastructure operators made clear that the design of NGI mostly uses single fine-grained technical models at the one end of the spectrum, or coarse grain (EU-wide) grid assessment models with a nation being a grid node. When looking at the life-cycle of infrastructures on the one hand, NGI stakeholders either look at the design and planning phase of infrastructures, and at the Modelling denotes the action of designing and creating a conceptual model or a computational model or a CI model or a computer simulation. Other synonyms may apply as well. [Click for more information]modelling of optimising maintenance of infrastructures from a cost perspective. Security aspects that are covered focus on the physical protection, and on the security of supply of the service from a capacity-based point of view. [Click for more information]risk by finding less risky routing of new infrastructure and by pinpointing areas where additional infrastructure strengthening is required. [Click for more information]model outcome on the other hand. The cyber A (network) component is an object in a CI model e.g. a generator, a pump, a transmission line, a physical transport, a node, a substation. Components have attributes and user-specified behaviour. [Click for more information]model, e.g. 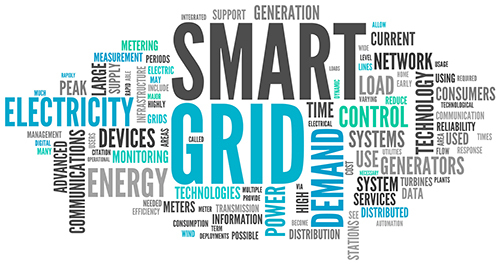 smart grids. NGI often looks at the economic impact of infrastructure design and infrastructure use and maintenance redesign. The interaction of these economic models less often takes place in the realm of crisis management support, but could help in what-if analysis during the preparation and recovery phases. Validation of models is not easy as there is a lack of proper reference data sets and studied outcomes. CIPRNet will support the secure design of NGI by conducting research on how to bridge the CIP/CIR and NGI community needs using Modelling denotes the action of designing and creating a conceptual model or a computational model or a CI model or a computer simulation. Other synonyms may apply as well. [Click for more information]Simulation and Analysis.